In person registration is available at packet-pickup and on race morning. acastro@lockelord.com for the free team entry. *Late entry fees apply for all registrations received after Jan 31, 2019. You may register in person at the packet pickup locations (see below) or any time before packet pickup at the offices of the Houston Bar Association (1111 Bagby, FLB 200) between 9:00 a.m. and 4:00 p.m. Adopt a Walker from THE CENTER! Support the participation of residents from THE CENTER by paying the entry fee for a resident to join the 1-Mile Walk. The cost is $25 per walker, which also includes a Fun Run t-shirt, race packet and the opportunity to win prizes in special drawings. Register online or check the appropriate box on the individual or team entry form. Register online or check the appropriate box on the individual or team entry form. 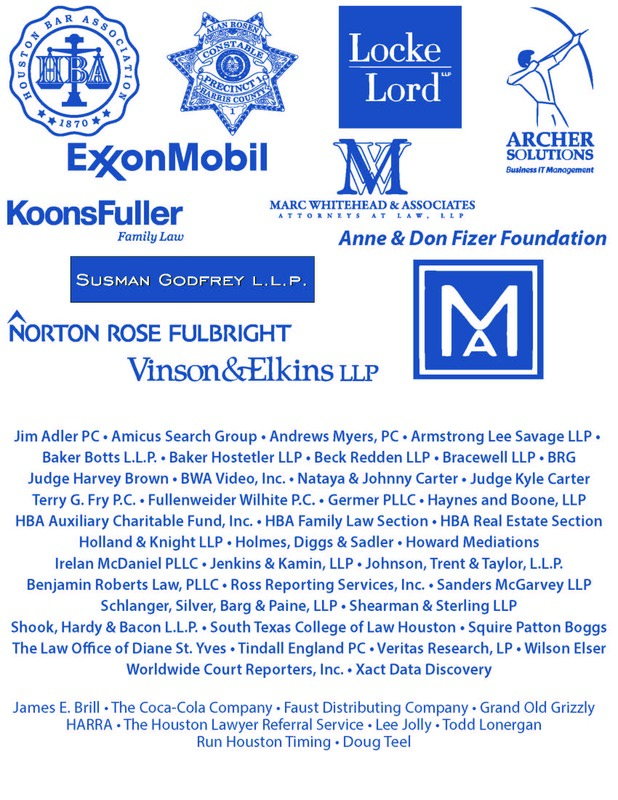 To enter by form with a check, complete a form below and enclose a check payable to the Houston Bar Foundation.
. We will also email participants who supplied an email address at registration. If we cancel, there will not be a makeup date. Thank you for your support, and understanding. Race Scoring will be done by Run Houston Timing using disposable chip timing attached to your race bib. You will not be an official finisher if you do not wear the bib or the strip is not properly attached. Race bibs will be included in the packet when received at packet pickup. For more inquiries regarding sponsorship opportunities please contact the race directors or @ Diane Cervenka. 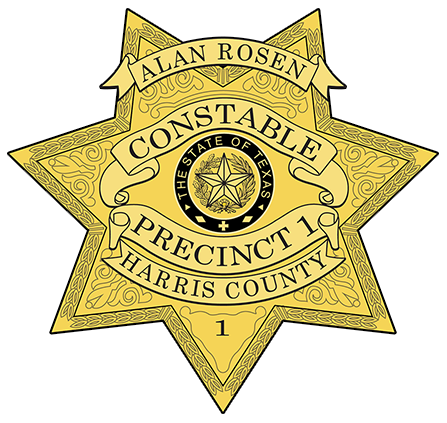 Race day security generously provided by Harris County Precinct 1 Constable Alan Rosen.